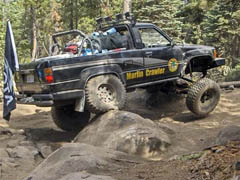 About | Marlin Crawler, Inc.
Marlin Crawler is the creator of and world leader in Rock Crawling. 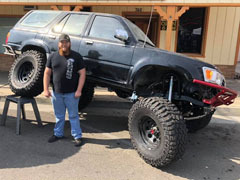 Since Sept 17, 1983, Marlin Czajkowski has been wheeling the world-famous 1980 red "Crawler Truck" finding ways to improve it's off road capability. Early innovations range from a homemade on-board welder, in use since the late 1980s that has helped hundreds of crippled rigs, to the world's first Heavy Duty Birfield joint, aka the Marfield, and the world's first Heavy Duty FJ80 TRE-equipped tie rod, aka the Marlink. But Marlin's most revolutionary creation came in 1994, with what he called the Marlin Crawler, taking Toyota trucks to new capabilities never before possible. 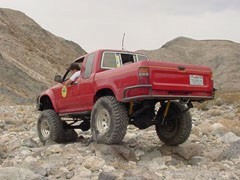 Prior to the Marlin Crawler, the absolute lowest possible final drive ratio in a Toyota pickup was 56:1 (1986 & 87 turbocharged models only). The "built" trucks of that time were in the 36:1 to 44:1 range. 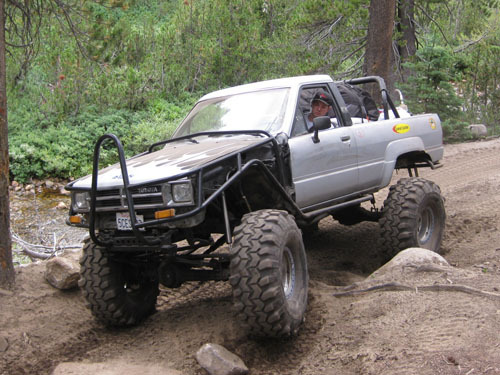 Combined with small 4cyl engines, it's easy to see why very few people wheeled Toyota pickups. Marlin says Jeeps easily out numbered Toyota pickup's twenty-to-one or higher. 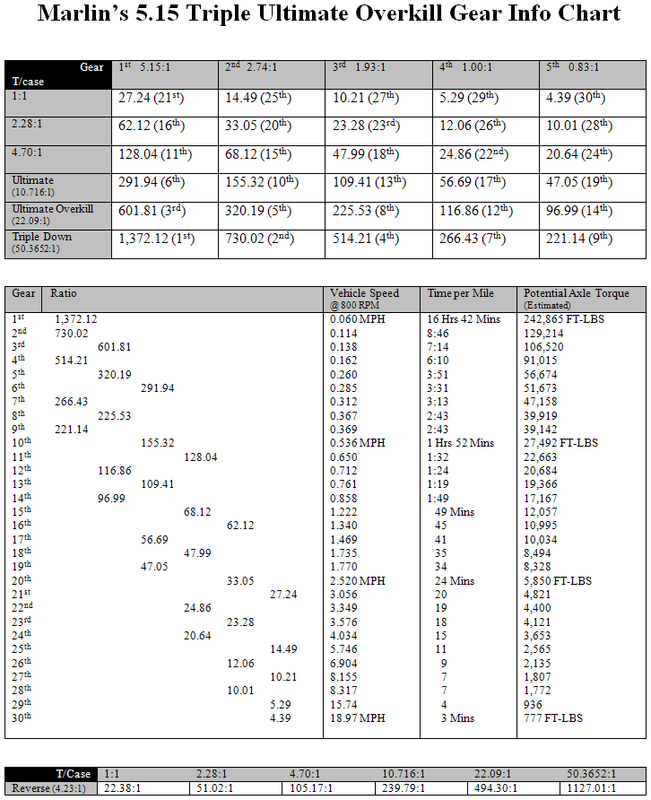 In comparison, Jeeps and Land Cruisers commonly had powerful 8cyl engine conversions with final drive ratios nearly twice as slow in the 70:1 range. 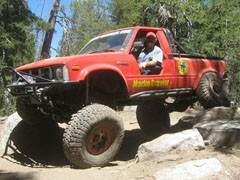 The success of Marlin's two famous quotes, "I want to get respect for Toyota trucks!" and "I want to put Toyota trucks on the map!" 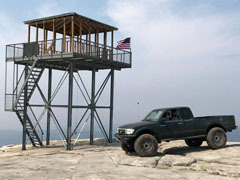 is well represented in today's off-road world. Since 1994, Toyota trucks can now use Marlin's inventions to easily eclipse the 200:1 final drive ratio making them more competent off-road than both Jeeps and Land Cruisers. Final drive ratios this low prompted a new term for which Marlin coined as a "Crawl Ratio". 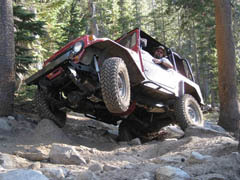 Other terms Marlin created are "Rock Crawling", "Crawl Box", "Crawler Gears", "Double Low Range", and "Dual Ultimate Crawler", terms that have since become so common that even automobile manufactures Chrysler and Toyota use Marlin's "Rock Crawl" term in their marketing materials and products. Before the Marlin Crawler, no one said "Hey let's go Rock Crawl'n" because there was no such thing. It was impossible for a Jeep or Land Cruiser to have a 200:1 or lower final drive ratio, which is precisely what is meant by Crawling! 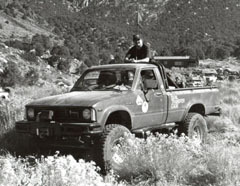 Marlin's inventions transformed his 1980 Toyota Pickup to have a final drive ratio of 2,158:1. This is 58 times slower and more powerful than it's stock configuration and almost 20 times more torque than an 8cyl Jeep or Cruiser! Now we have the reliability and simplicity of a lightweight 4cyl Toyota truck with torque output greatly exceeding that of an 8cyl engine. can make your truck unstoppable! 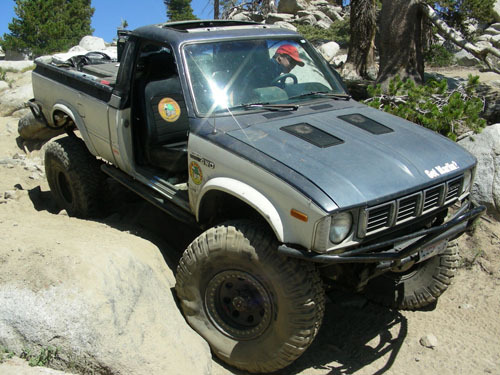 To see a piece of nostalgia and to better understand where we've taken Toyota trucks over the last thirty-six years, please visit our Vintage "Crawler Truck" Picture Gallery by clicking here. 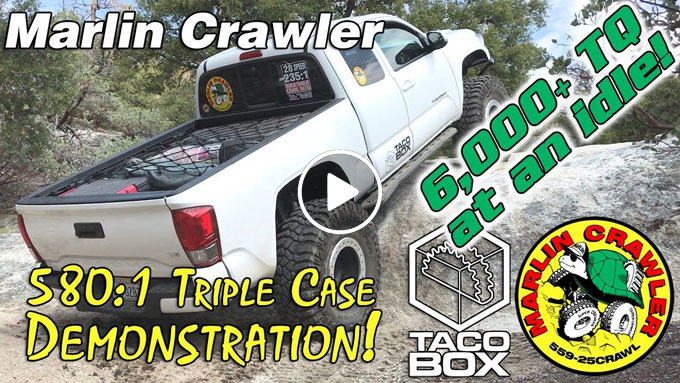 Today the Crawler truck has a Triple Ultimate Overkill Marlin Crawler Transfer Case System providing 30 forward and 6 reverse gear ratios, all selectable at any time while retaining normal city and highway driveability. We feed our passion by offering the absolute highest quality and longest lasting parts for your Toyota 4WD truck. We also build adapters and kits to adapt our products to other non-Toyota applications, both domestic and other imports. We also make Heavy Duty 2WD drive train parts that Desert Racers and Turbocharged Supra Drift Cars really appreciate! 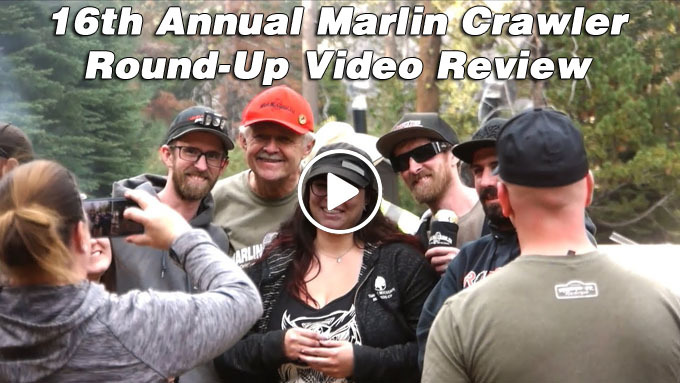 Please click below to play a Video Review of our 16th Annual Marlin Crawler Round Up event! We are highly active in the community and use our resources to help keep it alive and strong for many generations to come. Here is a membership list of our past and present Four Wheel Drive Club and Organizations. 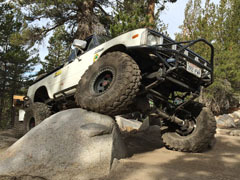 We have been giving back to the community since 1983 and have a lot of experience with trail repairs, toilet installation, highway and trail clean-up, campground management, community fundraising, government public forums, and forest service OHV route redesignation projects. When you support Marlin Crawler, you are supporting the community. 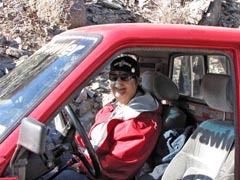 Second oldest 4WD Club in the world! Provide high quality & unique rock crawling and competition parts by building innovative and reliable products that meet our customer's needs. 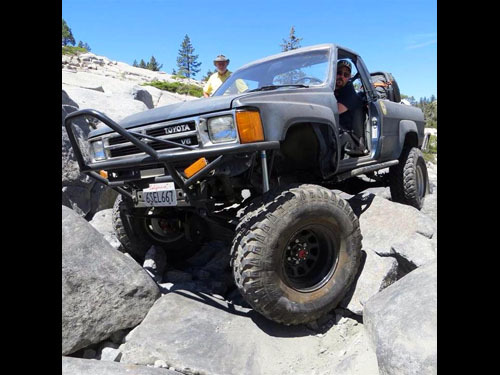 Marlin in the mid-1980s before he put Toyota's "On The Map"
Widely accredited as the founder of "Rock Crawling", we are a team of Toyota gear heads who develop highly reliable products and a wide range of services to meet your Toyota's needs. 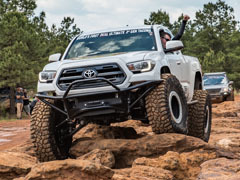 Specializing in Toyota Drivetrain components, we also offer a broad range of genuine Toyota parts, in-house manufacturing, and offer custom services for off-road, competition, desert race, and high powered Supra drag/race cars. 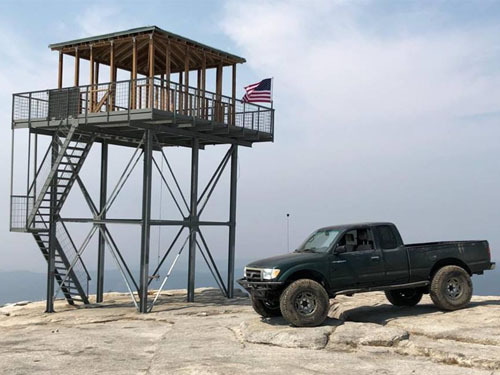 Our products have been featured in all major magazines including CRAWL, FOUR WHEELER, Petersen's 4 Wheel & Off-Road, 4 Wheel Drive & Sport Utility, 4WD Toyota Owner, and TLCA Toyota Trails. 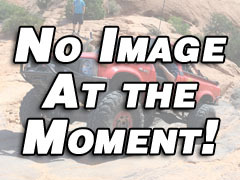 Our products have survived the King Of The Hammers an event record 6 times and counting, W.E. Rock and Pro Rock Formula Toy National Champion 2007, 2008, and 2009, twice through the BAJA 1000, numerous SCORE desert race events, numerous stadium truck events, as well as street racing where our extremely reliable transmissions and components can be found in track-prepared and drag-prepared Supra race cars. 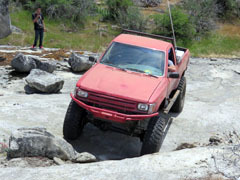 No other company fulfills your truck's true Rock Crawling needs!